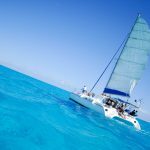 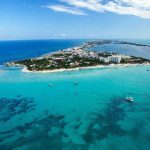 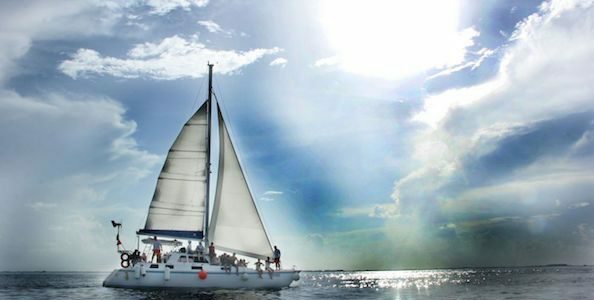 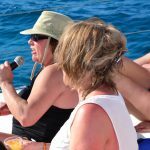 No need to rush for Catmania’s Lite Sailing Tour to Isla Mujeres (4.5 hours). 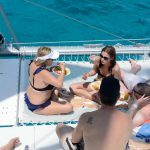 Our Catamaran sets sail at 12:30, so you can get up late and have breakfast! 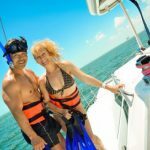 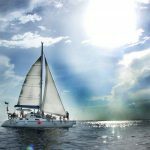 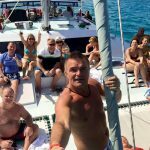 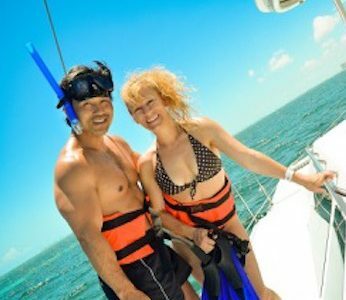 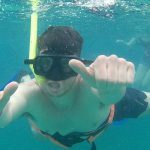 Catamaran groups sightseeing tours are a fun trip of water sports, snorkeling, jungle tour and equipment. 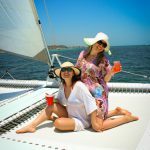 Also includes Open Bar, Snacks, and a Downtown visit! 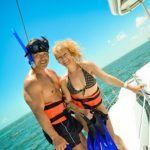 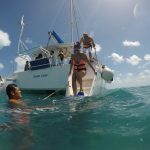 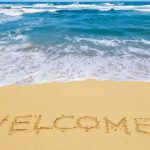 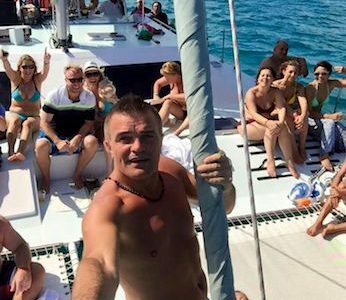 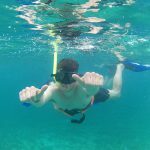 Tailor your charter service as you wish with combinations of snorkeling with: sailing, free time in Isla Mujeres, or a beach party at north tip of the island! 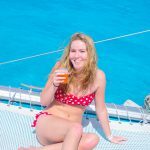 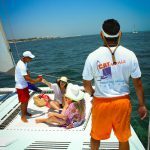 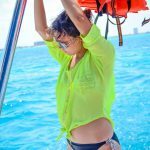 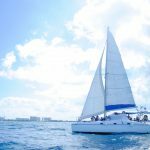 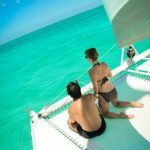 There are several ways of visiting Isla Mujeres, but none as relaxing as a Sailing on board of a Catamaran.